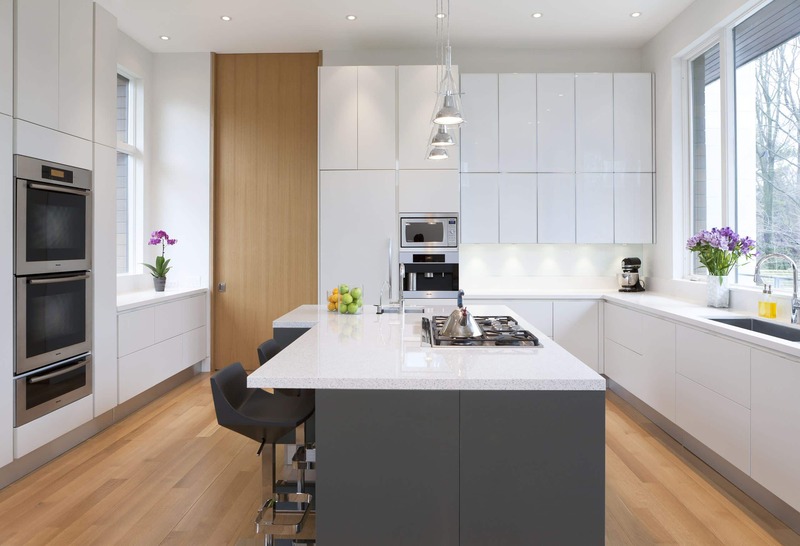 Modular kitchens offer a cleaner, clutter-free appearance that is not offered by other kitchens. Their designs attempt to maximize every inch of space. The typical modular layout will include wall cabinets, base cabinets, tall/pantry cabinets, and special cabinets. 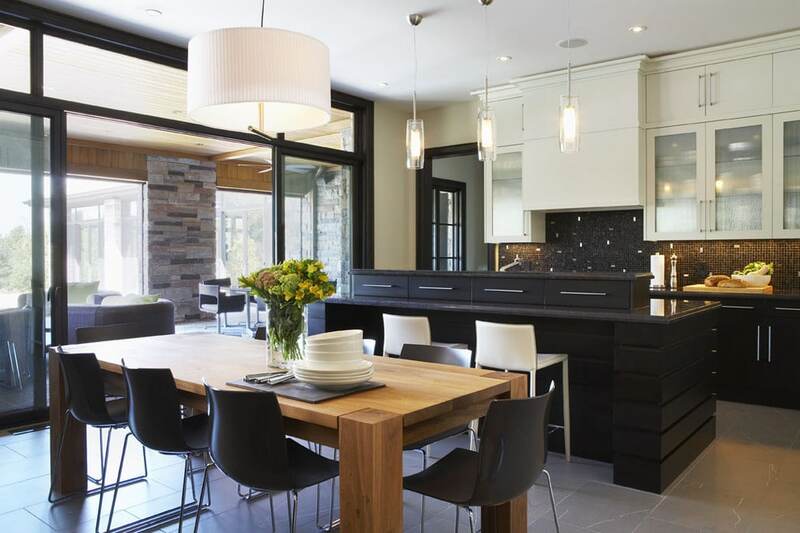 To construct a successful modular kitchen, it is essential to commit to a layout because the stove, oven and microwave are placed in fixed locations within or next to wall cabinets. Colors have a large influence in the appearance of a kitchen. When picking a kitchen color it should remain a consistent color of cabinets, countertops, islands and flooring throughout the kitchen space. All-white kitchens should be avoided; they are high-maintenance and require continuous cleaning. Instead, mix and match cabinet colors. It is convenient to use lighter colors for top cabinets, since they will receive less use. Today, cabinet stores will provide predefined color combinations to make the homeowner’s decision easier in this respect. Cabinets are available in a variety of shapes and sizes. Generally, it is a bad idea to choose a higher counter to obtain more storage which is why most base cabinets are only built with one height. In modular kitchens, you can personalize compartments to improve storage capacity. 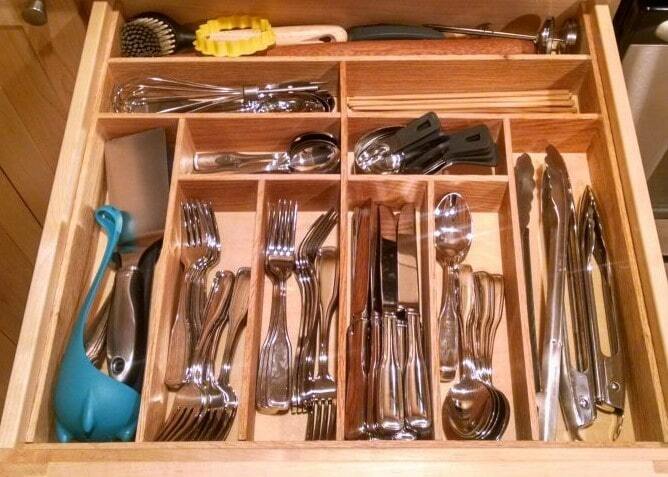 Big families are likely to have more utensils, so drawers should be larger. Making different sized sections for utensils and gadgets would be useful in this scenario. Drawers that are divided into sections are useful because they offer organizational efficiency. 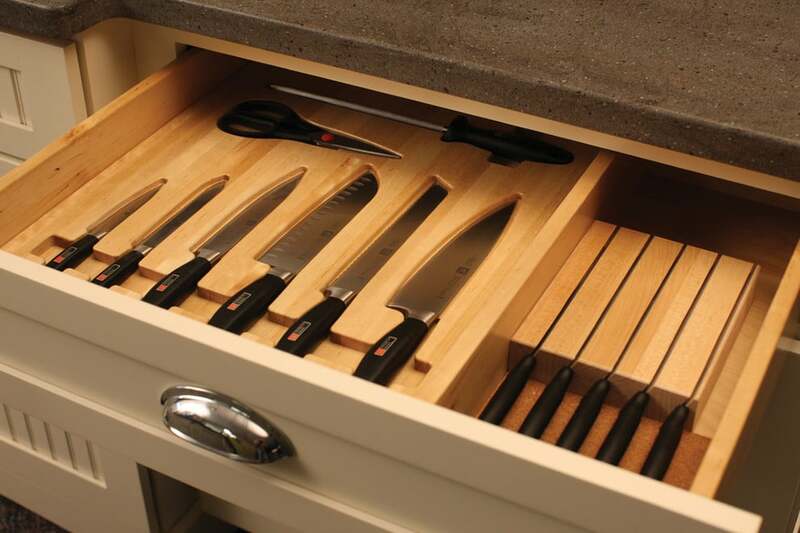 Storing spoons, knives and other utensils in this space will make them quickly accessible. Items that are used most often should be placed in the upper shelves. A kitchen should serve your working process and not the other way around. Also, do not break cabinets into many tiny modules. This will make a kitchen look busy. Opt for large drawers that can provide smaller divisions inside. Kitchens that have limited space will benefit greatly from smart storage. 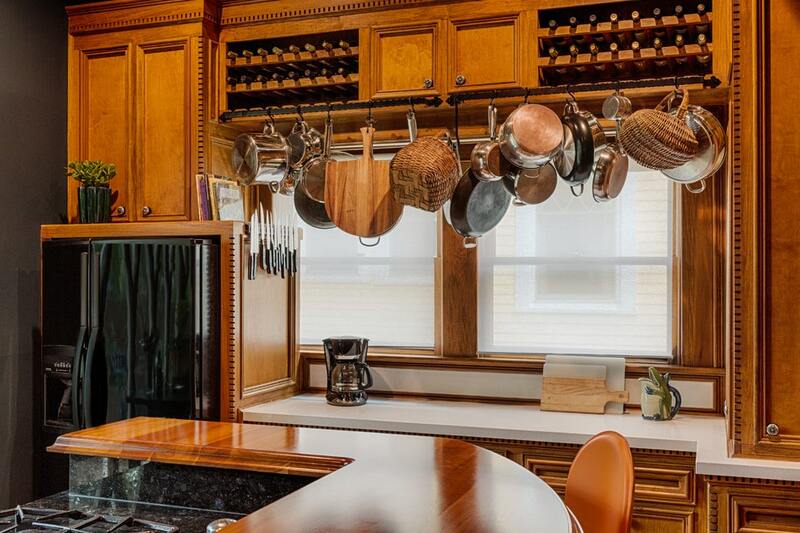 Hanging pots and pans is a good alternative that facilitates quick drying. In corners, lazy Susans , elbow shelves and a variety of inventive designs are a common occurrence. Gone are the days when corners were wasted for dead space. Today, due to the advancement of technology, it is possible to have cabinets and drawers that do not require handles. All they need to function is a light push. The kitchen triangle rule strategically places cooking, preparation, and food storage areas in a space that is 4-9 feet apart. This is a rule of thumb that has been used by architects and designers for many years because they believe this design increases efficiency in the kitchen. Modular kitchens should make life simpler and smarter. To do this effectively, homeowners should employ base materials that are low maintenance. A good durable option is steel because it is very easy to clean, and designs associated with it are popular. However, too much use of steel can make a kitchen look cold and commercial. To make a kitchen look softer, one can introduce wooden cabinets or a granite kitchen countertop. The modular design can benefit from a pantry, which offers storage space for different food products, as well as crockery and cutlery. Some modular kitchens will have steel and wire racks instead of drawers. Wire racks can be used for stocking food items like vegetables and fruits. They can also be used to keep bottles and boxes of various sizes within a limited space. For kitchens, the rule of thumb is to have proper ventilation. Without it, moisture can build up in the kitchen and eventually cause your cabinets to rot or mold. For this reason, it is important to ensure you install a range hood. It is important to note that if the vent system is not done properly an expensive ventilator will not always be enough to keep a kitchen fresh. The kitchen’s design should also allow enough space for windows and doors; these will provide cross ventilation. Finally, good lighting is essential in kitchen design. It should be aesthetically pleasing and practical. In addition to this, it should suit the kitchen’s theme and add to the overall look and feel of the room. 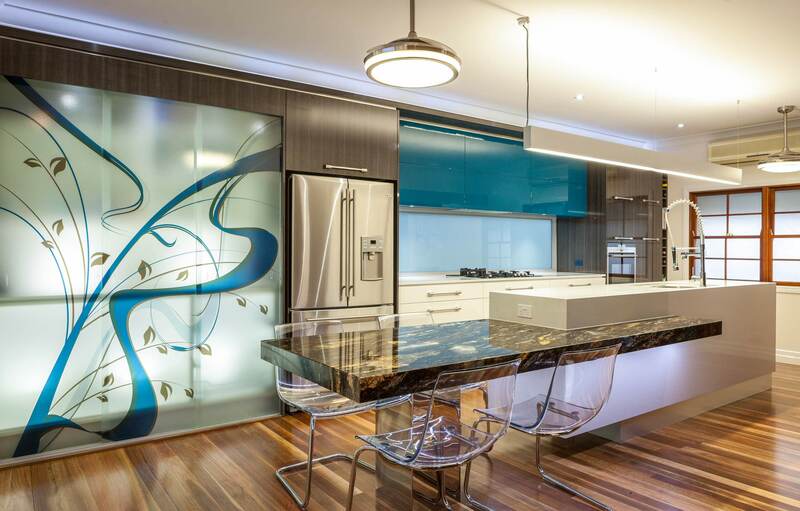 For more reading material on different lighting solutions for the kitchen please click here.